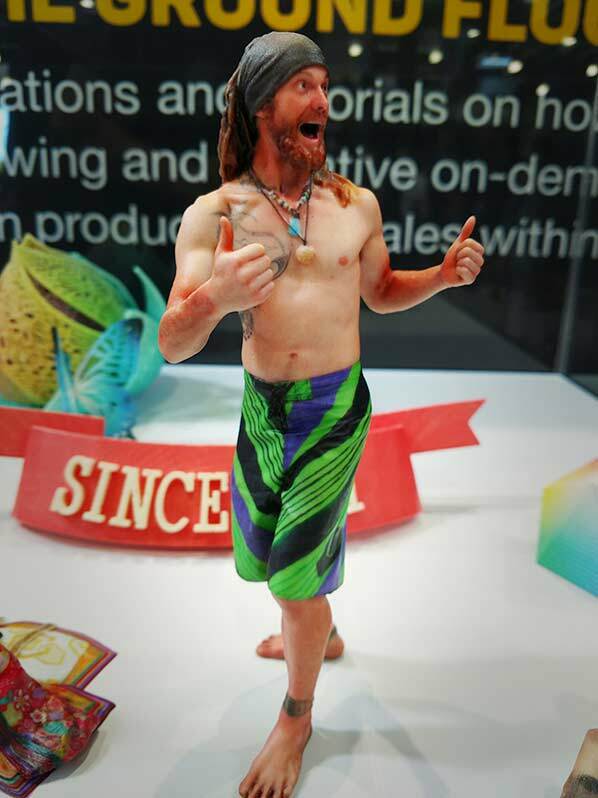 The Mimaki 3DUJ-P 3D prints in over 10 million colors. 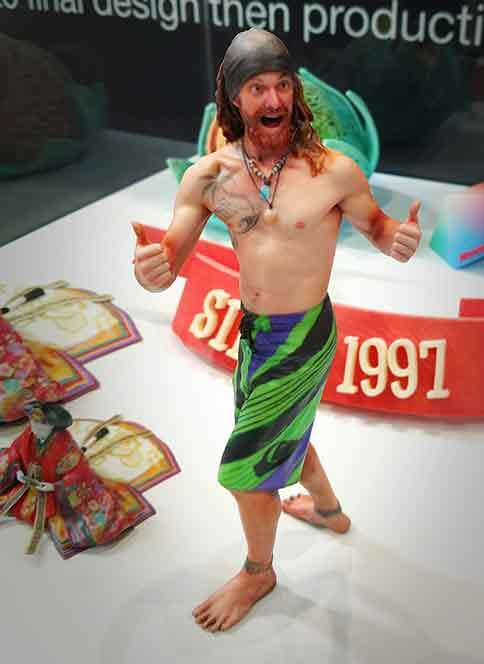 As seen at the San Mateo Maker Faire, this figure has astounding detail. Call us at ImageTech to learn more about this remarkable printer. 510.238.8905. 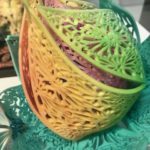 This 3D printer prints in over 10 million colors. Visit us at the Mimaki booth at this weekend’s Maker Faire (San Mateo Event Center, May 19-21) to learn more about Mimaki’s new 3D printer, provisionally named the 3DUJ-P. Can’t make the faire? Call us at 510.238.8905. We look forward to meeting you in Zone 2 of the Maker Faire. Download the event program [here]. ImageTech, LLC is a full service distributor and servicer of large-format printing technology, including new and used photographic and digital equipment, printers and supplies, UV Coaters, spectrophotometers, rip software, and photographic paper and chemicals. We offer complete technical service and support on equipment we sell, process control assistance and advice on future equipment purchases. If you can’t make the Maker Faire, visit us online at http://www.imagetechdigital.com or call 510.238.-8905. 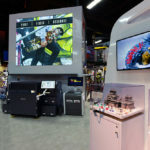 ImageTech will be attending the Maker Faire this weekend (May 19-21, San Mateo Event Center in California) to demonstrate Mimaki printers, cutters, and the company’s new 3D UV-cure inkjet printer prototype. Mimaki USA is a leading manufacturer of wide-format inkjet printers. You can find us at the Mimaki booth in Zone 2. Download the event program [here]. In 2015, Mimaki Engineering (Nagano, Japan) announced it would enter the 3D printer business and started its own full color, 3D printer development. After initial rounds that received positive reviews along with further development, the company is now in the commercialization phase of this product. 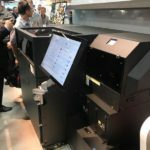 This technology preview of the provisionally named 3DUJ-P printer follows its worldwide debut at JapanShop, held March 7-10 in Tokyo, where it received an enthusiastic reception due to the advanced differentiation of Mimaki’s technology in 3D printing. ImageTech is a distributor of large-format professional printing technology in the USA. For more information, visit http://www.imagetechdigital.com or call 510.238.-8905. We hope to see you at the Maker Faire, May 19-21, at the San Mateo Event Center, where we will be demonstrating the new Mimaki 3DUJ-P. This premiere 3D printer was recently unveiled at the ISA in Las Vegas last month and, now for the first time, will arrive in the Bay Area. The detail and color production on this machine is incredible. 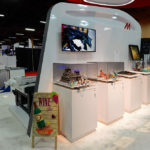 Come see what you can do with the Mimaki’s Microfactory: 3D printing, sublimation and solvent printers, cutters, and ink – Mimaki allows you to leverage it all. At the Maker Faire this week in San Mateo we’ll be demonstrating the full range of products that make up Mimaki’s Microfactory, including the new 3DUJ-P 3D printer. 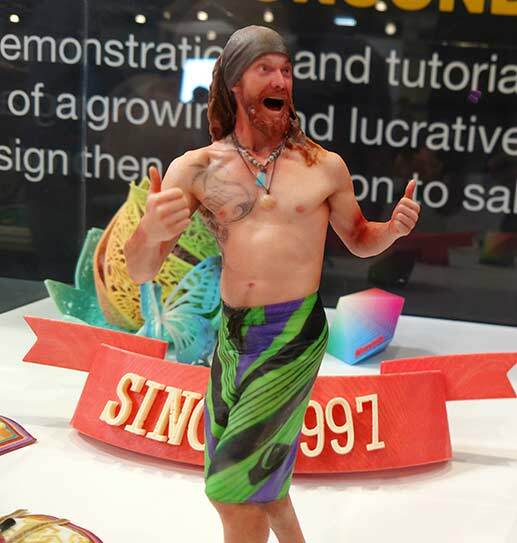 The 3DUJ-P prints in over 10 million colors for “unprecedented 3D modeling, yielding vibrant colours and high-definition imaging.” This technology is perfect for modeling and 3D sign creation. Look for us in Zone 2 of the exhibit hall. 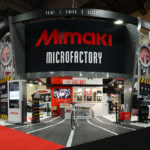 Mimaki’s press release can be found here. Instant rebates expire this month, so let us demonstrate the full breadth of Mimaki solutions, including printers, cutters, inks, and, now, 3D printing, that will allow you to build your own Microfactory. For more on the Maker Faire see our earlier post. Call us for details. Join us at the Maker Faire, May 19-21, at the San Mateo Event Center. We will be teaming up with Mimaki to demonstrate the full breadth of Mimaki’s Microfactory, including the latest in 3D printing. We look forward to meeting you in Zone 2. Download the event program [here]. With the Mimaki Microfactory utilize the latest in digital print and production technologies to deliver unprecedented “just in time” production, develop true customer intimacy through personalization, and reduce time-to-market by moving quickly from concept to your final product – in hours instead of weeks or months. Call us for details. We’ll be giving demos at the Maker Faire, May 19-21 at the San Mateo Event Center. You’ll find us in Zone 2.